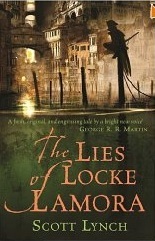 I mentioned before that I’m participating in the readalong for Scott Lynch’s Gentleman Bastards series, starting with the first book, The Lies of Locke Lamora. Which, by the way, is an awesome novel! I’ve had a long-time love of smooth-talking rogues and thieves, and so this book is keeping me highly entertained. Part of the readalong involves discussion questions, the first batch of which can be found here, on the Gollancz website. Let’s see if I have anything worthwhile to add to the conversations. 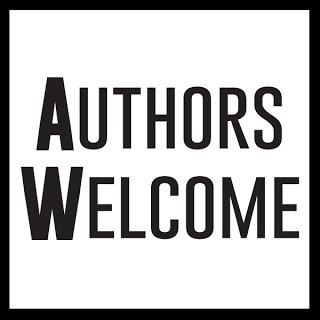 What do you think of Scott Lynch’s narrative style? It takes a bit of getting used to, with all the time-jumps, but if you’re paying attention and getting into the story then it’s not that hard to follow. And that manner of storytelling not only allows for the present to unfold bit by bit, but also the past, giving the reader lots of hooks into the life of Locke and his gang. It’s an interesting setup, and I at least for my part, it’s working to get my attention, keep me engaged and focused, and I love watching everything come to light. As for the tone, it’s suitably dark and light in the right place, with the correct amount of gravitas and humour where it needs to be. You get a good feel for how the characters speak, how they act, odd habits they have, and interesting pieces of info about the world without needing gigantic infodumps. Lynch leaves many things hinted at rather than explicitly stated, waiting for the reader to pick up on the subtleties rather than beating them about the head with things. I like that. A lot! What do you think of the way Scott Lynch weaves, sometimes giving us present day events and then going back and explaining them in a different timeline? It’s a different tactic than most authors take, and when most authors try to take it to the extent that Lynch has, it usually comes across as a bit of a garbled mess. It’s a testament of Lynch’s writing that this isn’t the case here. Here, it works, and is a great way to show how the story has been unfolding for years without having to take you through it chronologically and then leave gigantic gaps in the timeline where less important events happen. What do you think of Locke? Is he a good guy surviving the only way he can or is he a bad guy that is too loveable to hate? I think there’s a mix of both opinions in there. He had few options as a child, but with his currently-amassed fortune, if he wanted to go elsewhere and start a new life as a tailor, he could afford to do so without worry. He does what he does because he’s good at it and enjoys it, and that’s clear from his personality and words. And “bad guy” is too restrictive a term, I think, to use for Locke. He’s not inherently bad because he goes against established laws. He’s a lovable scoundrel, and no mistake, and as much as he’s the kind of person I wouldn’t want to associate with in real life, he’s a lot of fun to read about. Other than Locke, who is your favourite character? A tie between Calo and Galdo. If you could consider them a single character, then they’d be my favourite. I love their banter, their wit, their humour. They may be nearly quintessential sidekicks, but what a pair of sidekicks they make! They complement Locke nicely. Do you think I am right with my guesstimate of currency? If not, do you have a better working out? I wouldn’t even try putting their currency into real-world terms. Math has never been my strongest point, and what they would be making in dollars doesn’t interest me much, because it’s not really relevent to the story. it’s said that they could live comfortably on about 10 crowns a year, and assuming that to be about $1500 USD (give or take) would be fine for my own level of comfort if I had no debt… Well, that’s still not hugely applicable to the story. I’d guess the figures that were played with would work out, with a little variation, and they seem sound enough, but it’s not something I would both to figure out myself, even as an idle curiosity. What matters more to me is how what the characters get relates to their own economy, rather than mine. Finally, what do you think happened to the Elders? Were they human? Were they mages? Now this is a curious question. In my head, I picture them vaguely as an almost elven race, and I suspect that’s partly because I’ve read many books where the relics of lost civilizations usually get traced back to long-dead elves. And there’s nothing to say that said elves couldn’t have been mages, or else had some interesting technology to make Elderglass. I’m hoping that some more detail gets revealed about them as the books go on, to satisfy my curiosity, but to be honest, even if that doesn’t happen I’ll still be fine with it, because the very presence of their relics even when they aren’t there themselves adds to the depth and realism of the world that Scott Lynch has created. It IS a great read. Maybe once some of your other projects draw to a close, you could sink your teeth into this one. I think you’d really enjoy it.